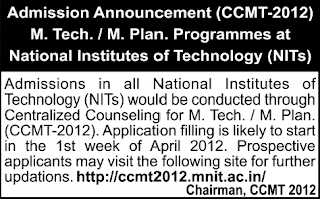 Admissions in all National Institutes of Technology(NITs) would be conducted through Centralized Counseling for M.Tech/M.Pharm.(CCMT-2012). 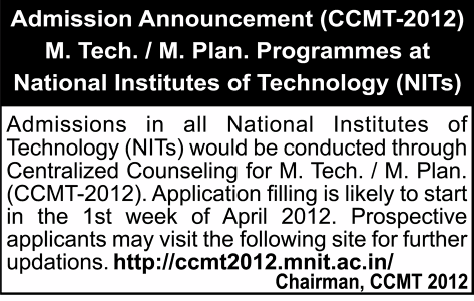 Application Filling is likely to start in the First week of April 2012. Prospective applicants may visit the following site for further updations.